Attends Regular Absorbency Underwear features acquisition layer and super absorbent polymer channel to lock fluids in the core and help prevent odor. It is made of breathable, air-flow material for dry, healthy skin. 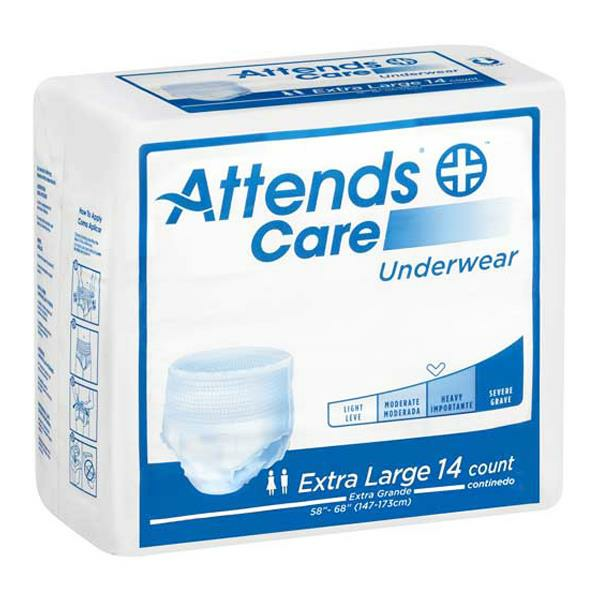 Attends Underwear is ideal for moderate incontinence level.